Before this splendid villa was a castle and it kept some original traces like its superb medieval tower where now you will find a living room and a bedroom. Inside of this elegant house, and also thanks to the decoration, you will be able to feel charm and authenticity. Outdoor spaces are wonderful and ideal to enjoy some very good moments near to the pool or in the terrace. 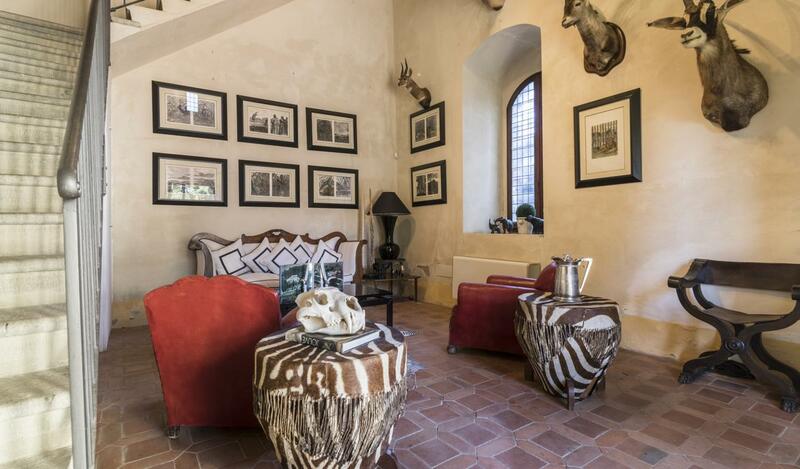 This beautiful property is perfectly located since it is not far from the famous cities of Florence, Pisa and Siena. You could discover Tuscan touristic places and coming back to the villa just relax.